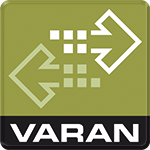 With the VARAN Client simulator MB-29 from Synchronics, sections of the machine can be simulated that are not available at the time of testing. Because for example, the control cabinet may be available but not the machine. The machine processes can therefore also be tested without these components. From VARAN’s perspective, the simulators behave as if they were real components. The simulator is universally implementable – currently, Balluff distance measuring systems and hydraulic valves from Rexroth can be simulated. 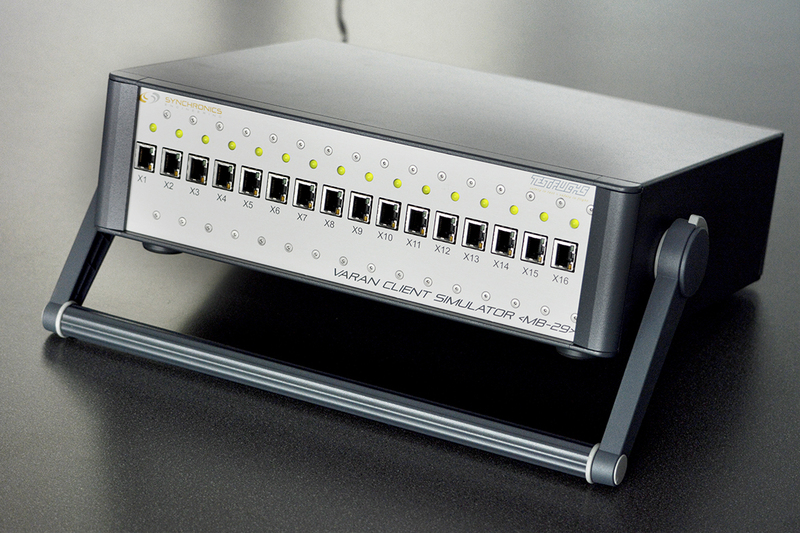 The system can however, be expanded with a software update that allows simulation of any other component. The system is configured as follows: Over a VARAN interface for 16 simulators, it is possible to configure each simulator for a specific component type. Simulation values can also be predefined. An example: If a distance measurement system from Balluff is simulated, any distance measurement value can be preset. This can be continuously changed, whereby a movement can be simulated.